Spoil dad with this delightful gift sure to make his Birthday this year! 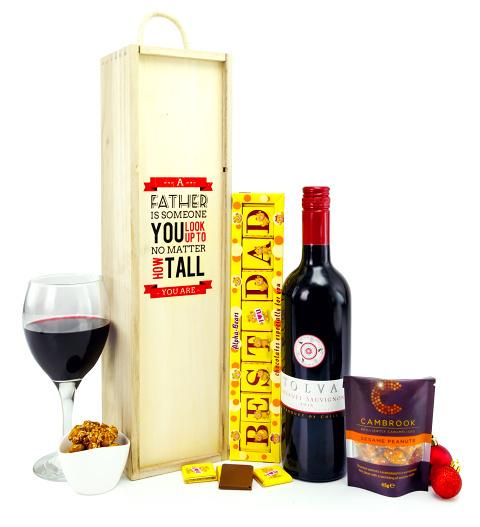 All he needs to kick back his feet to enjoy a very fine wine with some delicious chocolates spelling Best Dad. The gift is complete with a packet of Cambrook peanuts all presented in a wooden case. Best Dad chocolates, total 8 pieces.